This is a picture of a cow. Really! Can you see it? 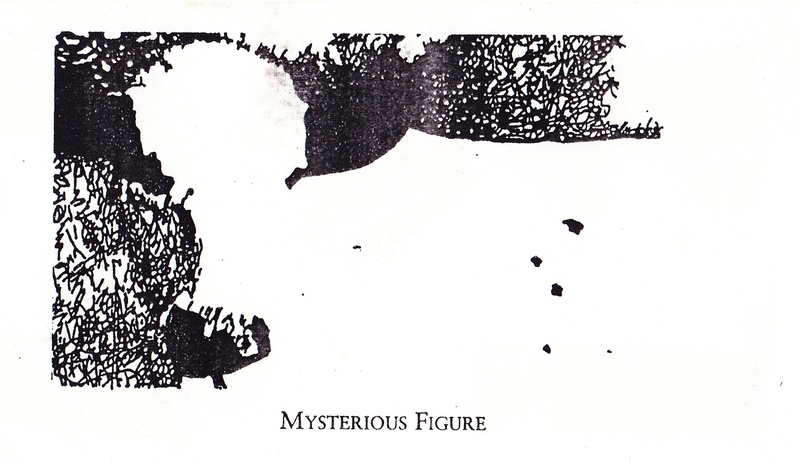 I have had this visual puzzle, photocopied on a scrap of paper and entitled Mysterious Figure, in my files for years now. While I cannot remember how I came upon it, I vividly remember my struggle to see the cow. I would return to it, over and over, looking and wishing for the cow to appear. I would repeatedly scan the image and find the exact same suggestions of a cow that were leading nowhere. Instead of realizing that my approach was too determined and causing interference, I became frustrated and doubted that the cow was there at all. I finally took a break from the puzzle and, a few days later, I pulled it back out. There it was on first glance! Every friend I have shared this puzzle with has expressed a similar dedication and frustration, followed by overwhelming relief when the image finally appeared. The journey to see the cow holds a certain lesson for all of us. Sometimes in our efforts to see what we wish, we miss an entirely separate truth that might be sounder. I would suggest this is a matter of fine-tuning our sense of sight. Sometimes we must harden our eyes to see with intent and desire and focus. We go towards an object we must see. This approach absolutely has its place. But at other times, we need to allow our eyes to work with a softer focus, one of absorption and receiving and observation. We might find that the latter approach entitles us to see more. By utilizing a wider lens, we can also expand our capacity for awareness, an incredibly powerful way of seeing that involves more than the eyes. Awareness is a state of mind. Nothing like a good old-fashioned puzzle to teach us about life! Take your own time to see the cow. Try seeing it in both ways: try looking for it and then letting the cow come to you. Next week, I’ll reveal where it is in the image. MindBodyBrew is a space for pondering, working through, revisiting, and deliberating. We delight in the examination of that which we think we already know. We don’t claim to have everything figured out. Rather, we aim to plant seeds that can lead to careful thought and consequential choices. We invite you to join us in our exploration into living a mindful life. Thank you! You will now receive email notifications every time a new blog post is published. © 2017, Perri Institute for Mind and Body. All rights reserved. Perri Institute for Mind and Body™, Mind Body Dancer®, and MBD™ are brands registered to TMP Mind Body of Work LLC.